The Australian tax system relies on taxpayers self-assessing. This means that you are responsible for your own record keeping and working out how much you can declare and claim as a deduction on your tax return. You also need to be able to show how you arrived at these figures, in some cases you may be required to provide written evidence. In order to prepare an accurate tax return and support the deductions you make, you need to keep careful records. Record keeping depend on your personal circumstances. If you are not sure, it is better to keep too many records than not enough. This guide will provide general advice to help you identify what records you need to keep. Why should you keep records? Are in dispute with us – the later of five years from the date you lodge your tax return or when the dispute is finalised. What are simple tax affairs? In receipt of foreign employment income, or income from service on an approved overseas project that is exempt from tax in Australia. There may be time when your records are accidentally lost or destroyed – for example, if your home is burgled or burnt. 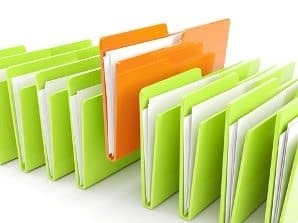 we are satisfied that you took reasonable precautions to prevent the loss or destruction and, if the document was written evidence, it is not reasonably possible to obtain a substitute document. To find out what records you need to keep click here to read our article.